Frankly, I am not-so-active on the social networking site Facebook, as much I am on Twitter (@viralsss). But, that by no means undermine the value of much popular Facebook in my eyes, as I actually realize that it is a more complete social media platform than Twitter. In fact, while talking to people, I’ve often realized that Twitter is something which still not many Indians are well versed with. Most of them have simply heard about Twitter, but do not know what it is all about. Surprisingly, some even feel it as boring. For Indians, Twitter burst into fame due to glamour and celebrity touch associated with it. Moreover, news channels are often found relaying the popular tweets from Bollywood personalities to highlight their viewpoint on debatable issues. Than, again, cricketing legend Sachin Tendulkar (sachin_rt) joining the Twitter bandwagon, also turned attention of millions of fans towards Twitter. Like it or dislike it – apart from sporadic attention seeking, Twitter continues to remain an alien to a large majority of Indians, even today. It’s official now – Facebook has 25 million users in India. The average time spent by users on Facebook in this land of agriculture is 3 hrs per month; which is more than double the time spent by users on Yahoo, YouTube (1 hr 20 min) and MSN (40 min). 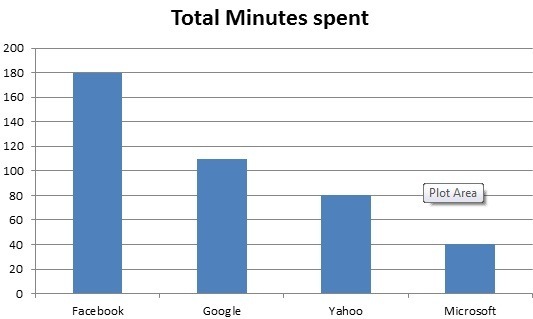 The social media has so changed the dynamics of the internet usage trend in India that even Google, which was almost synonymous to the world of internet, lags far behind (1 hr 50 min) on average time spent by users searching something, to freaking on Facebook. In the words of David Fischer, vice-president, advertising and global operations of Facebook.com, this social networking site took users from the ‘what’ to ‘who’; and personalized the information amongst the users. He further adds that the Facebook mission is to build the social graph, with around 15 million friend connections being made every day on this site and three times more turn-up in case of connections with various brands. They say… nothing is ever-sustainable; neither did Google’s dominance out-live social media’s reach. Facebook is still in fast growth phase. Twitter is relatively new kid on the block. But, one thing for sure, no body can live on past laurels in this immensely innovative world. The trick of the trade for the Web world could be to keep the wheels of innovation chugging along in the direction of youngistaan model of social media focus. India adds 20 Mn Mobile subscribers in March –MNP requests sky-rocket! I think you are missing one more name here “Orkut”, it was also so very much popular, almost like Facebook, but people hardly took time to switch over to FB. So you can never know when people willl change their choice to some other social networking site from FB. but ya i agree its very common, easy to access and very much safe in the sense of security (personal information). True! As you said, even Orkut is present in the race of social media sites. But, I guess, Orkut has been ably replaced by Facebook already. Whereas Twitter survives as its model is bit unique from Facebook and Orkut both. Agree with you facebook is a complete social site. Twitter is more about the followers of big celebs. Frankly, not that Twitter is all about celebrities handles only. If a tweeple follows a list of dynamic handles, even twitter forms a good source information and interaction. But, again, it is still far away from being a personalized social networking medium as, may be, Facebook.